Conor McGregor has been suspended for a month on medical grounds after his UFC 229 defeat by Khabib Nurmagomedov. Lightweight champion Nurmagomedov vaulted the cage and fought a member of McGregor's team. Meanwhile, McGregor was involved in a bust-up in the octagon with members of his Russian opponent's team. Three of Nurmagomedov's party were arrested but later released, with McGregor refusing to press charges. Meanwhile, Nurmagomedov's fight purse has been withheld while the NSAC investigates. The Russian apologised following the incident but cited pre-fight trash talk in which McGregor "talked about my religion, talked about my country, talked about father". Conor McGregor is a great fighter and an ex-champion. I refuse to buy the argument that he was rusty etc. He was prepared both mentally and physically, believe me. He applied Sun Tzu's Art of War for the A to the Z. Did he homework, got personal info, incited Khabib, promoted his whisky, worked with greatest coaches/information money can buy. Both fighters were 30 years old and at their absolute prime. as they say: "there be dragons" or in this case: "there be bears". He was mauled, knocked down, slapped, punched, thumped, humbled and submitted by brute force. His corner got what they deserved. Don't forget Connor threw the first punch on the fence to Khabib's corner during after fight brawl. Khabib is the biggest MMA star in the world right now. He'll make some serious money and In Sha Allah will retire as the GOAT; à la Muhammad Ali. Last edited by WhenSultansBowled; 9th October 2018 at 23:58. Objectively speaking, he was coming off a long lay off and that is a fact. However, he was dominated for majority of the fight apart from Rd 3 so there's an argument to be made that a couple of training camps behind him may not have mattered. But no one can tell me that they wouldn't enhance preparation, you can do all the sparring and strength/conditioning but nothing beats being active when you've been away for a while, this is why fighters at times have tune ups instead which is the smarter thing to do instead of going straight into a big fight. Dana on the other hand looks to cash out as fast as he possibly can. Conor had what was coming for his shameless behaviours, but those punches which were thrown on the fence were after Khabib had left the Octagon; there is plenty of footage from much better angles which highlight that. Lets not paint him as some hero for his actions, he talks about bringing respect back but MMA is still essentially seen by the mainstream as two barbarians having a brainless knock and stuff like that doesn't help; all involved are to blame including the organisers who promoted the fight using criminal footage, that's how desperate the company has been as of late when you look at the PPV numbers drying up. What I find extremely disrespectful, it doesn't matter to me if it's Khabib or Anthony Joshua; their casual fans while they can be good for business are so damn moronic it just boils my blood, how easily they are willing to even mention these names in the same sentence as Muhammad Ali is just sickening on so many levels it just makes me puke to be honest. Last edited by shaz619; 10th October 2018 at 00:23. @shaz619 I can understand you find it disrespectful but unfortunately, we the casual fans, are like that. For example, whenever a short young batsman is scoring (UA, AS or Shaw) they are compared to SRT; lefties to Lara or Left Arm fast to Akram etc etc. I mean Ali was on a different planet when it comes to sheer athletic ability, boxing IQ or heart. It's only meant as a complement. Objectively speaking, not many can last until 4th round with Khabib. Conor received fists of doom but he lasted and lasted. Kudos to him for that. That's why I'm saying he was well prepared. No publicity is bad publicity. 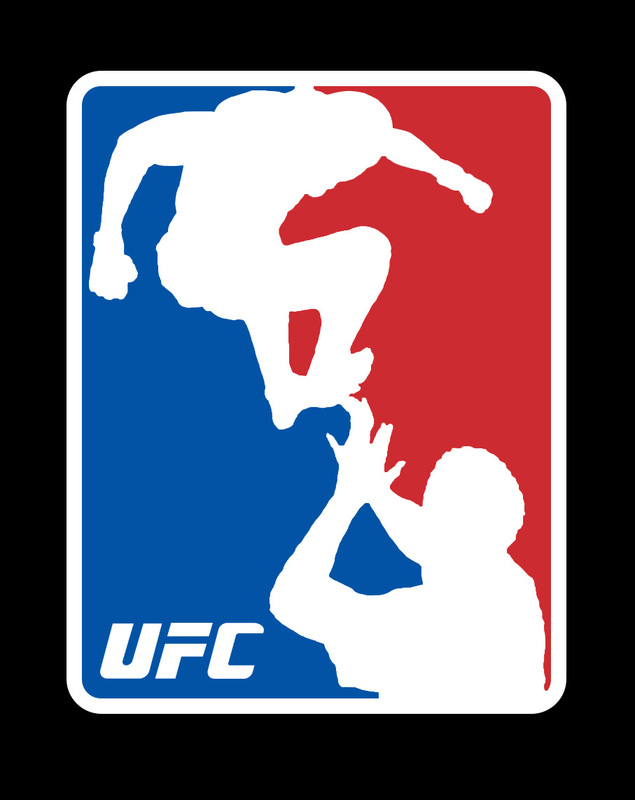 Believe me that fence jump was worth millions of dollars per second for the UFC brand. Mourinho poked his fingers in Pep's assistant coach's eye during a Clásico People, secretly, love this kind of stuff. That's just an opinion of yours isn't it because there are fighters who have lasted the distance against him but I am talking about combat, if you believe that a fighters prep can not be enhanced by having tune ups after a long lay off prior to a super fight then ya"ll are either some super human alien athletes that have been dominating the fighting game in an alternate universe for decades or it's just simple ignorance due to a lil fandom, but relax it's not the battle of badr; most of you probably don't even pray 5 times a day But beyond that am not ruling out that it may not have been relevant when it comes to the outcome but am referring to prep here. Am not talking about publicity, sure the UFC will do an even bigger buy rate in the rematch but it doesn't necessarily get rid of all the stereotypes associated with MMA. Bruce Lee would spit in the UFC's face. What are you talking about exactly? The pre-fight promo, sure that was acting, but there was an actual fight where he laid a beat down, not a fake one. Not the fight itself. The pre and post fight shenanigans. MMA is just plain boring, any publicity is good publicity for them. Give me a boxing match anytime. finally got to see the match and then my youtube recommends just filled up with all sorts of nonsense. From connor apologists to testosterone fuelled Muslims chest thumping. The fight wa a great fight but the rest was just a big tamasha and as usual Muslims fall for it hook line and sinker..
Last edited by srh; 10th October 2018 at 19:19. ^ @srh Not necessarily. The possible fine will be an investment for future. Heck, I read somewhere, he's got more than 10 million Instagram followers post fight. he's gonna get his money and his belt, I'm 110% sure. Conor was most likely putting it on but Khabib took things to heart so I feel his reaction was real which is why Conor told him midfight while he was getting pounded that "it's only business". Dana has already confirmed he will be champion. Probably receive a 6 month ban and return to defend his title against Ferguson. He will also be fined so wont receive all his purse but will get a good cut from pay per view sales. Also as said he will earn a lot more in future fights now. Khabib is world famous after this match. All the muslims are crazy about him now. I think he's getting 2 mil and will pay a 250 k fine, not bad imo. Khabib's a simple country boy from the mountains I don't think he cares about the money as much, like he said he's here for the legacy. Agree, it's not much of loss in terms of money. Imo he can be the Mayweather of UFC, it wasnt the fact Conor was poor , it was Khabib being brilliant. There is no man in his division who can even compete with him, let alone beat him. Tony Ferguson is a good fighter but against Khabib it would be man against boy. Dana white needs to realise his brilliance and make a lot of fights for him, UFC will become huge worldwide. Yeah plus he's got the tough dagestani guy appeal and that huge muslim fanbase. As for Ferguson, I think it's gonna be a tough contest and I'm afraid he might beat Khabib but it's definitely going to be an interesting fight. Last edited by Abdullah719; 12th October 2018 at 01:59. But a good move by Putin, he knows the Russian people would take pride in having a champion and is showing them he personally met and congratulated him. I think both men have mutual respect for each other. The pre-fight was fake, the post-fight was real. MMA is so much more interesting than boxing IMO, and the numbers are starting to show. Khabib & Connor did Mayweather numbers, and that is one of, if not the best boxers of all time. Khabib had an excellent fight. If you don't like it, that's on you, but most people I know, whether it be casuals or die-hards would much prefer MMA. The Tony Ferguson fight was a bloodbath, and then Khabib was a beat down. Boxing matches are snoozefests. Again, my opinion, so to each their own. He doesn't care about the UFC's money because he has a Russian billionaire (Ziyavudin Magomedov) backing him up. Of course he cares about money, he just doesn't need the UFC's because he has a huge endorser already, though his endorser was arrested recently on embezzlement charges so that might be an issue moving forward. Western culture is very different from Khabib's, he's jist paying respect to the head of state. Khabib is from Dagestan where they have to respect elders and other authority figures, it's not America where conor can say "fook trump" and it wouldn't be an issue. Neither is wrong just different. People everywhere, irl, are talking about him. Guy has become a star worldwide. MashAllah. He deserves it too, stands in the middle of Las Vegas and proudly makes dhikr of Allah. this is a great series, best episodes are when he goes to dagestan. Conor McGregor: Khabib Nurmagomedov beat me "fair and square"
Conor McGregor admits he did not prepare correctly for his loss to Khabib Nurmagomedov - but will return to UFC with his "confidence high". McGregor, 30, says he made errors at a "crucial time" as the Russian retained his lightweight title. "I end up beaten fair and square," he said, analysing the fight on Instagram. Nurmagomedov's manager Ali Abdelaziz suggested a rematch with McGregor would not happen as the Russian's team have "moved on", and the defeated man says he is now prepared to fight the next in line. "I will be back with my confidence high. Fully prepared," he added. "If it is not the rematch right away, no problem. I will face the next in line." "I believe from a sport standpoint, round one was his. Top position against the fence. Zero position advancement or damage inflicted. But top position. "From a fight standpoint the first round is mine. "Actual shots landed and a willingness to engage. Straight left early. Knee to the head on the low shot. Elbows in any and all tie up scenarios. Opponent just holding the legs against the fence for almost the entire round." "He is running away around the cage before being blessed with a right hand that changed the course of the round, and the fight. It was a nice shot. "After the shot I bounced back up to engage instantly, but again he dipped under to disengage. That is the sport and it was a smart move that led to a dominant round, so no issue. Well played. "If I stay switched on and give his stand up even a little more respect, that right hand never gets close and we are talking completely different now. "I gave his upright fighting no respect in preparation. No specific stand-up spars whatsoever. Attacking grapplers/wrestlers only. That won't happen again. "I also gave my attacking grappling no respect. Too defence-minded. "Lessons: Listen to nobody but yourself on your skill set. You are the master of your own universe. I am the master of this. I must take my own advice." "After the worst round of my fighting career, I come back and win this round. Again walking forward, walking him down, and willing to engage." "My recovery was not where it could have been here. That is my fault. "Although winning the early exchanges in four, he dips under again and I end up in a bad position with over three on the clock. I work to regain position and end up upright, with my back to the fence. A stable position. "Here however, I made a critical error of abandoning my over hook at this crucial time, exposing the back, and I end up beaten fair and square." I think Conor realizes khabib won’t fight him again Atleast not right away thus he says that line towards the end. Khabib should face Tony and then GSP and call it a career. Conor should face Pettis/Justin G.
If Khabib beats both GSP and Tony & Conor beats Pettis & Tony. Then a rematch should be granted IF khabib agrees. lol if you read carefully he isn't really giving khabib credit, he's just saying that he took him easy and wasn't well prepared against khabib and that he lost cause he wasn't at his best otherwise he thinks he would've won. Also it's funny how he just awarded himself the 3rd round when everybody unanimously agrees that he lost that round, it's only round 2 that was debatable but concedes defeat in that . I think you have the rounds mixed up. Round 2 was clearly khabib with the overhand right and the huge takedown. Round 3 is the only one that you can look at and give to Conor. I still believe that round was khabibs. The personal attacks on Khabib and Islam was all the motivation his opponent needed. Hopefully if there is a rematch he'll know where to draw the line in the pre match hype. Following his victory on 7 October, Nurmagomedov jumped the octagon fence and started fighting his rival's team. McGregor then fought with the Russian's camp as numerous brawls broke out. The Commission voted to release half - $1m - of Nurmagomedov's fight purse. The other half of the Russian's prize money will be withheld until a disciplinary hearing in December. "I understand that the Nevada State Athletic Commission is doing a thorough investigation, which I am confident will benefit my client," said McGregor's manager Audie Attar. Members of Nurmagomedov's team were also involved in a brawl with McGregor in the octagon after the Russian vaulted the cage fence. "If I would have had the video I now have, I would have also withheld McGregor's purse," said commission chair Anthony Marnell lll. Nurmagomedov apologised following the incident but cited pre-fight comments in which McGregor "talked about my religion, talked about my country, talked about my father". Russian Nurmagomedov began a brawl by the octagon after beating McGregor, before the Irishman was involved in a bust-up with his opponent's team. However, Nurmagomedov's suspension could be reduced to six months if he participates in an anti-bullying campaign in Nevada. Two of Nurmagomedov's team have also been handed suspensions by the Nevada Athletic Commission (NAC). Seconds after landing a fourth-round submission, Khabib Nurmagomedov vaulted the cage and headed towards McGregor's team, prompting a melee. Meanwhile, McGregor was involved in a bust-up in the octagon with members of Nurmagomedov's team. The champion instantly shouted at the beaten man and then pointed at McGregor's team before exiting the ring and attacking Dillon Danis, a fighter who trains with McGregor. While the brawl took place, McGregor was involved in a bust-up in the octagon with one of Nurmagomedov's training partners. Nurmagomedov left the arena with fans throwing objects towards him, while UFC president Dana White said he felt "sick" over the scenes.